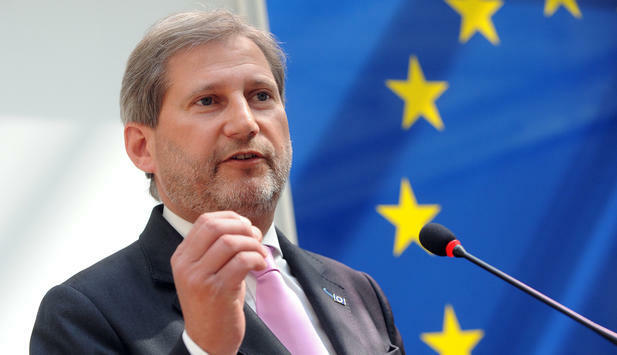 European Commissioner for European Neighborhood Policy and Enlargement Negotiations Johannes Hahn voiced optimism in Sofia on Thursday that Macedonia and Greece will reach a solution to the name dispute. He did not want to discuss any time frames, however. "I've always been optimistic. And I'll stay optimistic. The two PMs are on the right track," European Enlargement Commissioner Hahn said, commenting the meeting between PMs Zoran Zaev and Alexis Tsipras held at the sidelines of the EU-Western Balkans Summit earlier on Thursday. Asked if he thought it possible that the name dispute would be solved before the EU Summit in June, Hahn said that it was a month away and anything was possible.